I have spent 41 of my 56 years looking for an audio system that sounds so much like music that I rarely think about how it sounds, but find myself immersed in the music I am listening to. 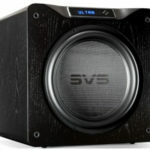 I have often put together systems that do some things exceptionally well and thus you find yourself enthralled in how great the vocals, bass, or the soundstage is. In early 2010, I finally feel that I have put together that system, but admittedly at a cost way beyond what I ever meant to spend on a stereo. I also have to admit that over the years I have not spent as much on vibration control or room acoustics as I have on other parts of my system. Don’t get me wrong I used assorted cones, pucks, shelves (including 4-inch thick maple shelves), tube traps, panels, etc. over the years. The first one I remember was in the seventies from DiscWasher; it was a piece of synthetic marble to sit your turntable on. Still, I have resisted mega buck racks and room treatments. The fact that isolation products change the sound of an audio system seems easy to hear. It is beyond debate as far as I’m concerned. It’s the why and the how they work that is much harder to be sure about. Then, the big question is, do they change the sound for the better. I promise you deader is not always better. To many if not most designers of isolation products they simply believe that better sound means doing away with as much resonance and vibration as possible. Others get into lowering the equipment’s own resonance frequency below audibility, and some do both. Then, there is a whole school of thought that believes all materials have their own intrinsic sound that you can optimize to bring the sound to life. I don’t know where I stand on this, and don’t plan to make the effort to find out. Basically, my audio system sits on a solid maple table that was made for furniture not audio. It’s heavy, sounds dead when you rap on it, and my system looks great sitting on it. This had been my audio furniture until a few years ago when I felt my turntable was too low. I tried some other things and ended up with a system of lead filled metal three-legged stands with 4 inches thick 24 inches by 24 inches maple slabs placed on them. 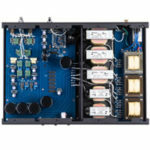 So, in April when I was given a chance to try a BOX Furniture Company D3S Audio Rack in my system; I thought maybe it’s time to think about a really good audio rack. So I also arranged to have a chance to use in my system a Zoethecus equipment platform, a SRA Ohio Platform, and a rack made from the four-inch maple slabs from Mapleshade Audio. Let me say that all three of these are very good products, regrettably the Zoethecus products are now only available on the used market. As good as they all are, it was the BOX Furniture rack that best suited my system. There are at least four approaches to designing something for audio equipment to sit on. They all have to deal with vibration. The most common one is to deaden the rack or stand as much as possible. Then there are designs like the Sistrum Stands that seek to drain away the vibrations. There are those which seek to isolate the component by letting it sit on a cushion of air. The last approach that I am familiar with is to tune the rack or stand so that it allows your system to sound alive and tonally correct. This tuning can be done with various metals and woods since they all have a sound of their own. The best equipment stands I have heard use the fourth method, but let me say that next-to-the-best products are the Sistrum ones that use the second design method. So, now let me share with you about this wonderful piece of furniture from BOX Furniture that is designed for you to put your equipment on. A while back, Matt at Pitch Perfect Audio started telling me about a rack that he was going to be selling. 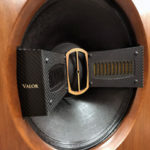 It was going to be built by Anthony Abbate of BOX Furniture Company, the same man who builds the beautiful and good sounding cabinets for DeVore Speakers. When Matt got them in my impression was, “what a beautiful piece of furniture they were in a kind of minimalist style that would fit right into the ‘Arts and Craft’ movement.” My listening sessions was equally pleasing. It’s not surprising that I preferred the BOX Rack. 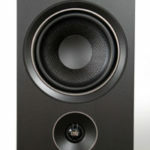 Over the last 15 years I have discovered that I prefer well designed, not all, speakers that are tuned to have ‘live’ cabinets to play music over those that attempt to totally deaden the cabinet. To me, they sound more unforced, energetic and simply don’t have to work as hard to get the music out of the cabinet into the room. So I was not surprised that an audio rack, which seems like the wrong thing to call this beautiful piece of furniture, designed from this same philosophy became my choice to put my stuff on. Good and interesting review of the Box rack. I am currently shopping for a rack and it is extremely difficult, practically impossible to select a good high end rack for home use. 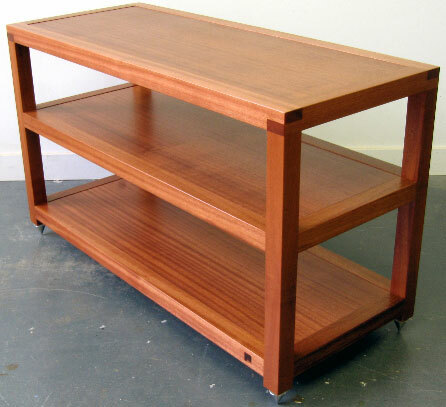 I am attracted to a rack that allows the music to flow over and above accentuating the hifi. Looking at the newish bamboo Quadraspire SVT with Stillpoints Ultra SS or the Box Furniture. Running ARC Ref 3 per and 75 power amps, LINN Klimax streamer with Spendor A9s. The sound is already coherent and dynamic but I think it could still be improved by upgrading from a very old Target rack. I think you would find the Box Furniture rack a significant improvement over the Target. I have not hear the bamboo one you mention. Also I like the Box well enough to buy it.